When my sister and I moved out of the house for college, my parents developed some eccentricities because of their newfound and undirected attention. They began watching British sitcoms from the early nineties each night. My mother became so addicted to Scrabble that she has now taken to giving it up for Lent to control herself. My father began adopting plenty of new children – the herbs in our backyard. Every day he waters, prunes, and primps. They have flourished so much under his care that they’ve taken over a large percentage of our back deck. 1. Pasta dough: In a standing mixer, combine flour, eggs, salt, and water. Knead on countertop and form into a ball. Wrap in cling film and let rest at room temperature for fifteen minutes or so. 2. Filling: Combine four cheeses, prosciutto, and parsley. Season as needed and transfer to piping bag. 3. Assembly: After dough has rested, use pasta machine to roll out sheets (to gauge thinness – I rolled each sheet to 6 out of 8 settings). 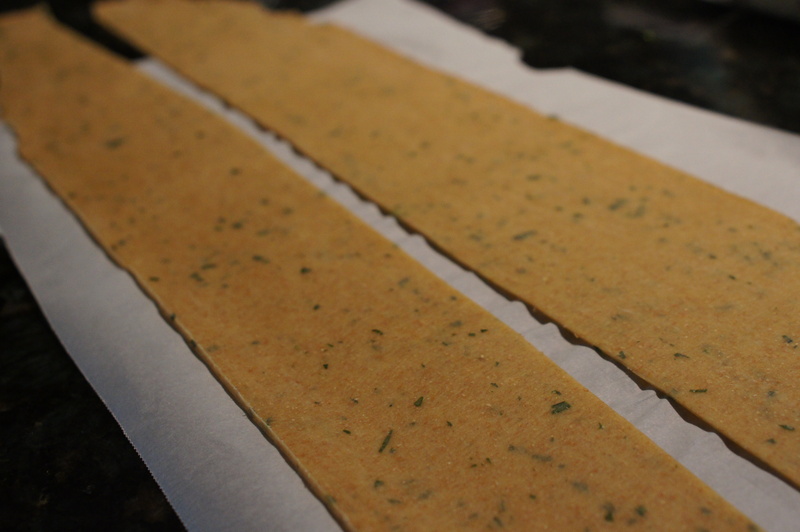 Pipe filling and make small raviolis, pressing the sheets together with a fork to seal. 4. 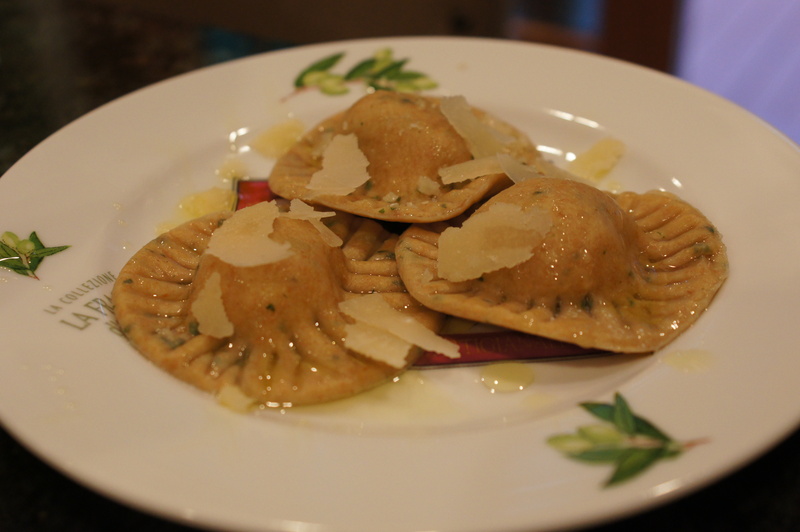 Cooking ravioli: Drop raviolis in boiling salted water. When raviolis are cooked, they will float to the surface. To be safe, let them cook for a minute more. 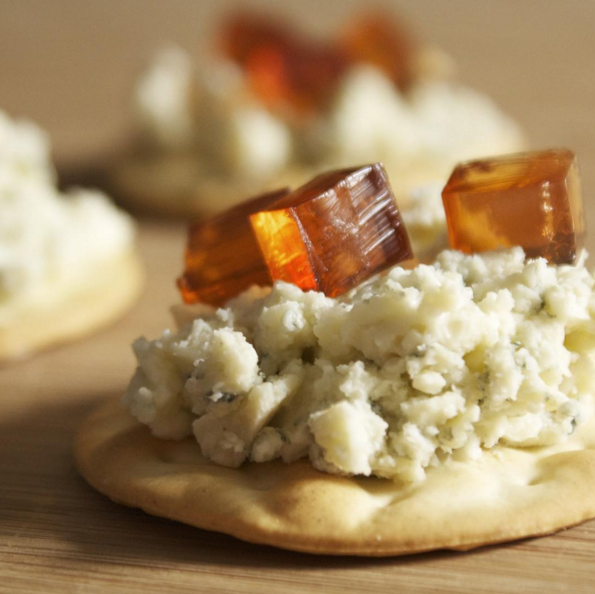 Serve with butter and parmesan shavings. 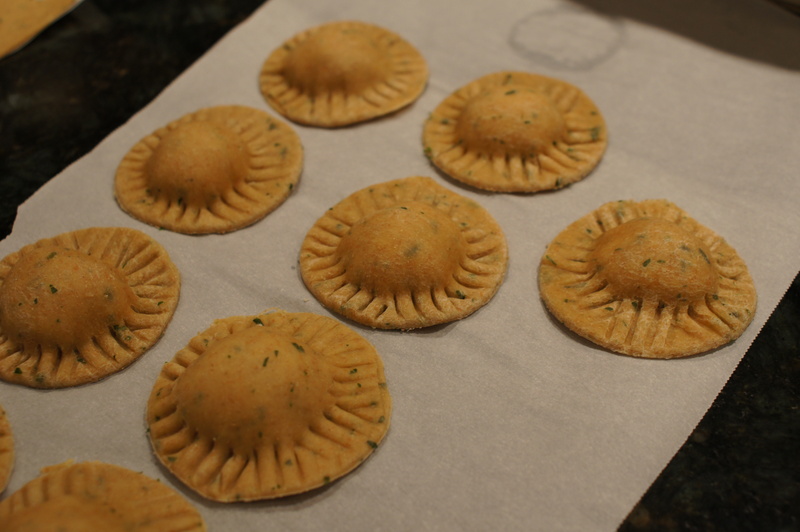 Enjoy parsley confetti ravioli with David Sedaris’s Me Talk Pretty One Day, and check in at https://warandpeach.com/ for future recipes and book reviews!